Given the sustained economic challenges being experienced across the building sector, every organisation is looking for better value from building projects. Bentley Systems' Neville Glanville explains how BIM can help. For cash-strapped government looking at ways of reinvigorating the economy and eliminating waste, there is a pressing need to realise objectives, avoid over-runs in both cost and time and ensure the end infrastructure asset truly reflects requirements. The government’s commitment to Building Information Modelling (BIM) is about driving better value from capital investment and realising a 20% reduction in lifetime costs. It is also about changing the culture between the client and the rest of the supply chain, replacing the traditional, rather adversarial business practices with a collaborative approach that should also drive innovation. The key to realising this vision is to create simple, effective cooperation among the design, construction and operations aspects of the infrastructure lifecycle. Overcoming these traditional silos provides a chance to reduce duplication, minimise errors, streamline processes and facilitate collaboration. Commitment to BIM is growing fast. However, it is apparent that there is considerable confusion about what the adoption of BIM actually means to organisations at different stages of the supply chain. While the majority of new bids now demand some level of BIM compliance, requirements are often opaque at best. As a result, there is a real risk that companies will either impose costly technology choices on partner organisations across the building supply chain, from mechanical engineers to contractors, or be coerced into making technology choices that fail to reflect other key business requirements simply to achieve BIM compliance. Sadly, this will be done in place of approaches that incorporate coordinated technologies appropriate for the varied roles and tasks. Unfortunately, the message being disseminated across the industry is that BIM is a design-led initiative that is dependent upon construction companies adopting the same 3D tools as their design partners (and vice versa) to create a single source of project information. This is untrue at many levels – from the 3D assumption to the single data source approach. The single data model is not only expensive and hard to achieve, it also doesn’t work. Organisations that have tried this model have quickly discovered that information becomes federated because of the many disciplines involved, and the single model descends into multiple uncontrolled data silos. Let’s set the record straight: BIM, when done correctly, is about information sharing enabled by information mobility (across engineering disciplines and the infrastructure lifecycle). It provides contractors and owner operators with access to key design data that can be used to transform effectiveness throughout the construction and operations processes. Yes, it drives better use of 3D across the industry, but not only 3D. 2D data remains important, as does information held in documents, spreadsheets, and other databases, all of which contribute to a holistic BIM approach. BIM is, in fact, about finding the best way to share and integrate information from many sources, authors and systems in a managed, secure and trusted manner. It is ultimately about creating an asset model from day one that can be used consistently throughout the project to drive efficiencies and improve collaboration. 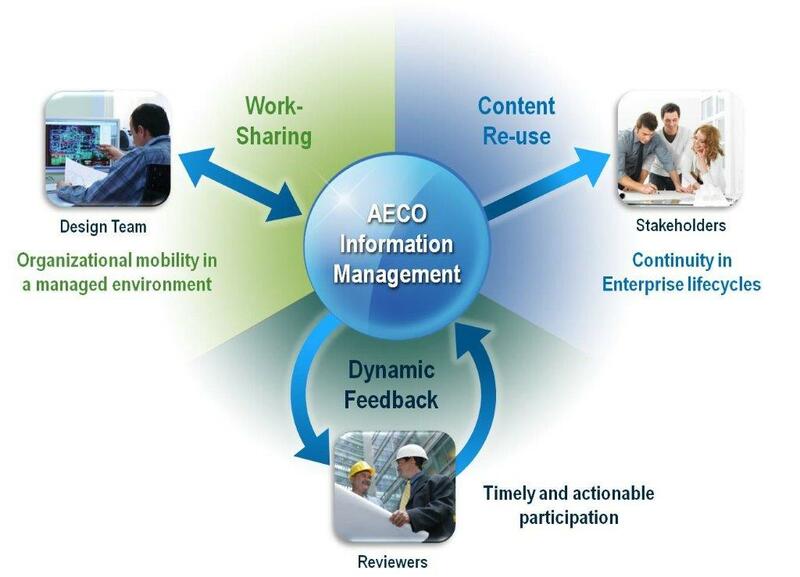 Indeed, BIM also encompasses information management as much as information modelling. It enables a contractor to feed design information into project planning tools and resolve potential conflicts before arriving on site. It also empowers the sharing of space information with facilities management teams before the building goes live to drive effective upfront planning, as well as the sharing of other crucial design, engineering, and construction information that can later be used to help drive cost-effective operations decision making and renovations work. What information do we need to share? Is a read-only format adequate? How can we safeguard both intellectual property and information consistency? Of course, if the industry had a common standard for information sharing that all IT vendors had to support, the BIM vision would be easier to achieve. Without it, the process has to be an evolutionary one that exploits existing IT investments where possible within a more collaborative environment. Consider any building component, such as a piece of mechanical equipment. There is multi-disciplinary design information to coordinate with the tools and systems best suited for each discipline, design and presentation information in 3D models, layout information in 2D drawings, schedule information in spreadsheets, procurement information in estimating and purchasing databases, specifications in documents, construction changes in transmittals, field changes in mark-ups, approvals history and audit trails in workflow systems, site photographs, and maintenance information and operating instructions in PDFs. All of this is the information model for the building. Leveraging a collaborative platform and technology to share and integrate information, within an incremental approach that accommodates all of the specialized design simulation and analysis software best suited for each project role, will best enable the industry to achieve the desired widespread adoption of BIM. The government’s stance on BIM is to be commended. Demanding Level 2 compliance by 2016 is pragmatic and achievable and promotes the very real promise of intelligent infrastructure that is better performing in terms of its energy efficiency, resilience to natural and man-made disasters, safety, and cost-efficiency. However, while industry adoption and interest are positive, it is essential that organisations take a step back and truly assess information requirements.